Android, how do I love thee? Let me count the ways... Okay, without wanting to go too Shakespearean on you, we here at AndroidPIT are all obviously Android enthusiasts, and the fact that the Android interface can be customised to suit an individual's preferences – even for devices that haven't been rooted – has a lot to do with this. This is where launchers come in to play; today let's take a closer look at ADWLauncher EX. I've been using ADWLauncher EX on and off for just over a year or so and although I often stray and try out other launchers for the sake of keeping up to speed with what's new out there, I always come back to ADW, which says a lot about the app's performance level. There are a few tiny drawbacks which I will go into later on, but on the whole this is pretty much the best launcher I'm familiar with. Lots of configurations options for icons: Tweak your desktop icons, change its sizes, add coloured backgrounds, change font size, color, etc! And that's just the tip of the iceberg—there are tons more features and options. 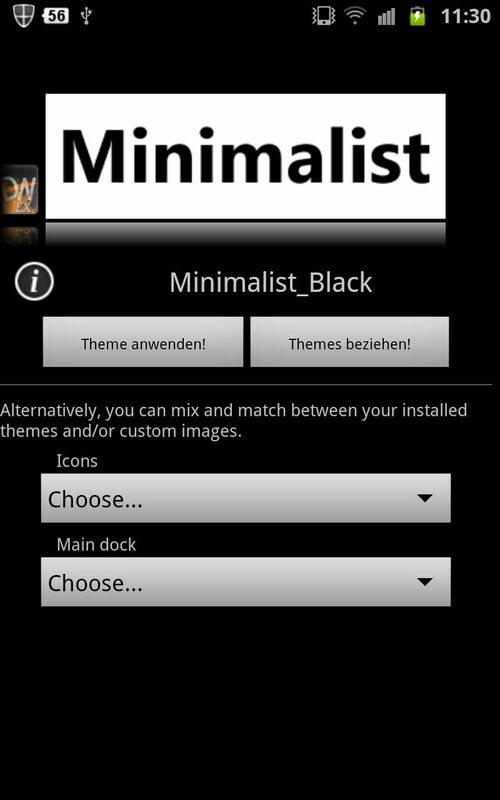 Presets: regarding ADWLauncher EX's appearance; includes the iPhone look and the Nexus look. You can also create your own preset. General behaviour: you will find a host of effects and animations here, including an animated app list, speed of desktop scrolling, etc. Set or edit gestures, change menus or font size. Themes: there are lots of themes to choose from so knock yourself out! Backup/restore: save and restore personal settings as well the homescreen settings. It goes without saying that there is a considerable amount of options to play around with, but that is to be expected from this type of app. There are so many options that I won't bother listing them all, but suffice it to say that there should be something there for everyone. If the ample settings options aren't enough, the numerous themes should help every user come up with something they find appealing. I'm currently loving the Minimalist_Black_ADW Theme. 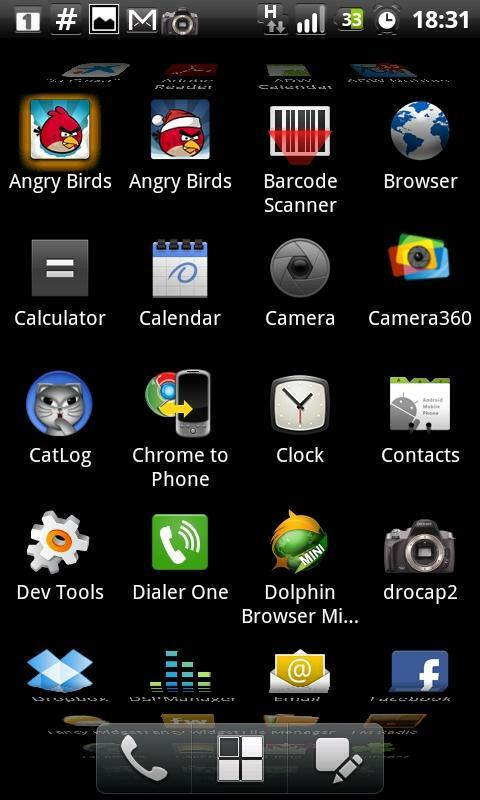 Each theme comes with its own icons that can replace the original icons . The Minimalist theme even has its own AndroidPIT icon—so cute! The size of the widgets can be adapted to fit a screen, and in the case of ADWLauncher sizing widgets is a more exact science than is the case with other launchers. Here rows and columns are used to size a widget properly. Five columns fit on a Note without problem. I've tried out several launcher apps including Go Launcher and LauncherPro, and the reason I always come back to ADWLauncher is that it quite simply trumps the others when it comes to performance. Another bonus: the app does not strike me as a battery vampire. It isn't possible to add folders to the app drawer. As an alternative you can set up a catalogue to which you can then assign apps, which is a fine option but I prefer folders. The colours of folders deposited on the homescreen can't be altered, which isn't the end of the world, but seeing as my preferred theme is black and the icons are black I can only install colourful icons. 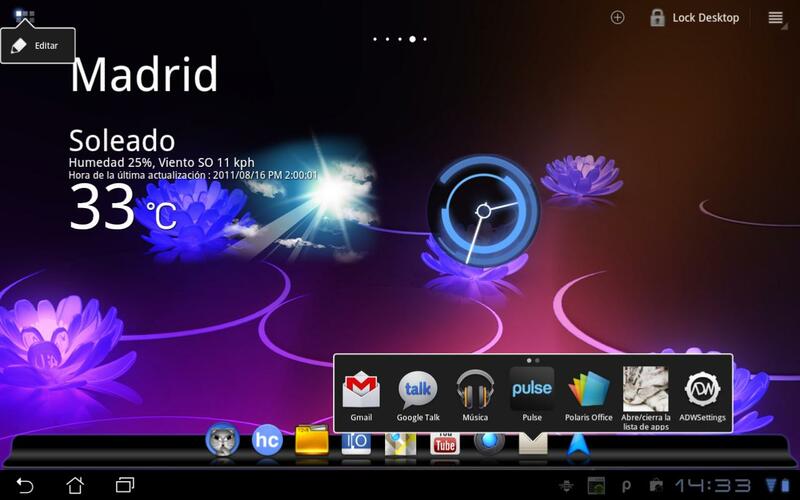 ADWLauncher doesn't have its own widget, though other types of links are available. Not all of the launcher's touchwiz widgets can be used. I would like to try out the calendar widget S Planner by Samsung but it isn't supported. That said, I can't think of any launcher apps that supports all touchwiz widgets. There's no doubt that ADWLauncher EX is a very powerful tool harbouring a massive amount of settings options to help transform the Android desktop into a personlised interface. It's very easy to use, it's well set up and it's a high-performance application overall. ADWLauncher EX harbours a lot of features and yet using it feels relatively intuitive, which is quite a feat, dear Mister Developer. As far as graphics go—the app is really so customisable that we recommend you simply play around with it and create something that suits your own style. I have been using various versions of ADWLauncher over the past year or so and can safely say that ADWLauncher EX is very reliable. If your homescreen is jam packed with widgets you may experience the occasional quiver, but that's about it. I'm always especially impressed by the app's speed. Sure, free alternatives to ADWLauncher EX do exist, but as I outlined above I am very impressed by ADWLauncher EX's performance, and this is what makes it stand out from the crowd for me. In other words, I find EUR2,74 to be a perfectly reasonable price for such a high-performance application. 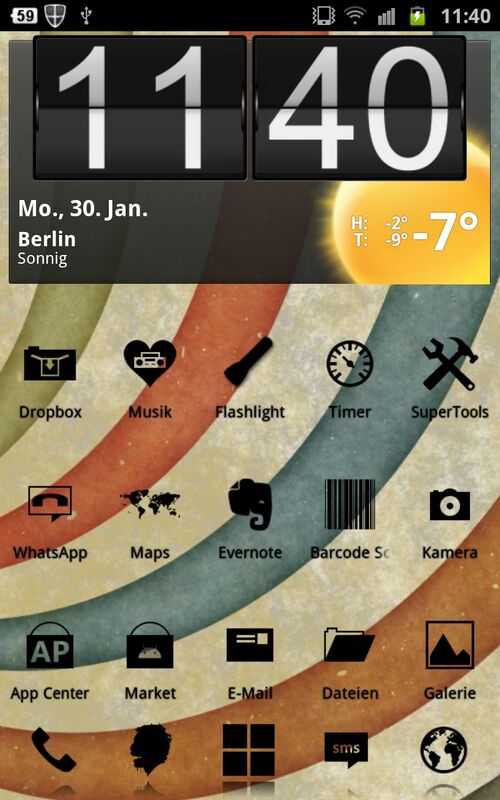 As our app of the week ADWLauncher EX is available for only EUR1,09, this week only. The Galaxy Note is great, you're quite right, but it isn't mine to keep, just something I use from time to time for reviews. Congrats! You must have gotten a Galaxy Note. Wonderful device, isn't it?